5 Comments on Are Food Imitating​ Products Taking Over Your Diet Without You Realizing? Our ancestors did it best. Thousands of years ago man would forage from nature and the environment for nuts, seeds, berries, plants, birds and small game. This was real food. However, as technology took over we interrupted this natural process. After world war two convenience foods become the norm, yet this was originally created for storage longevity and ease of preparation on the battlefield. And now unfortunately, over generations, this has evolved into what we now as a nation call “food”. Ok, so let’s go back to the definition of food in the dictionary. Food – any nutritious substance that people or animals eat or drink or that plants absorb in order to maintain life and growth. Nutritious substance? A very high percentage of the food we eat today contains no nutritional value whatsoever, hence why we remain so hungry most of the time, only then craving more “food” imitating products yet again because we are nutritionally starved. As we have been brought up as children, (myself included), our perception of what is food, is warped. I grew up thinking “food” was coco pops, fish fingers, pizza, cheese strings, nik naks and pop tarts. Sure, I ate some fruits and vegetables and home cooked meals as well but the above was what I and all my friends ate. Through my adult life I thought I ate a “healthy” diet but my perception of what “food” was then included special K bars, low-fat high sugar fruit yoghurts, low-fat microwave meals, granola bars, Walkers baked crisps, dried fruit and cuppa soups. Newsflash! That is not food! Simply food-imitating products. THIS IS FOOD! Real food comes from nature. Real food contains just one ingredient. Real food is made by nature, not by man. Real food is doesn’t have ingredients, real food IS ingredients. Do you know what any of these are? Simply chemicals. So much of the food we eat today are chemicals created by man to resemble a food product. If I handed you a tablespoon of pure chemicals would you each it? No, well it’s the same thing. My aim as a Health Coach is to try and turn our perception of what food is now, back to the perception of what food was by our ancestors. Choose food with one ingredient, like butternut, and make food with a combination of other single ingredients. If you can’t pronounce it then don’t buy it. Real food doesn’t have a label. If it’s made by man avoid it but if it’s made by nature enjoy it. It really is that simple. It’s time to return back to the way we ate before the food industry ruined food. This is so true. There are so much manufactured food out there claiming to be health. I think you are right we have come to think that this is food but really they are empty calories. I am definitely guilty of eating low fat, high sugar diet chocolate bars thinking they are ok but they give me nothing. I love the last Tip. “if it’s made by man, avoid it; etc..”. However, that’s really tough to do; with our taste buds now. Glad you enjoyed it and thanks for your comment. Yes I agree, however with everything our bodies adapt and we can still enjoy sweet food for example just from nature’s candy – fruit. It’s always a challenge in the world we live in today but Whole Foods are definitely making a comeback. Yes! 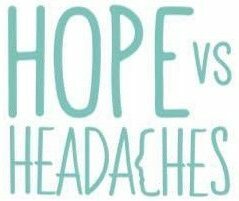 Previous Entry Chronic Migraines To 1 Year Migraine Free – How Did I Do It? Next Entry What Is Self-Care And Why Is It Essential?